Here at Ontario Debt Settlement we understand the importance of money and the stress that comes with it. With the cost of living going up, many people are finding themselves in deep financial help. We will help reduce the amount of debt owed as much as possible through our professional debt consultants. They will work to help you get and stay out of debt. 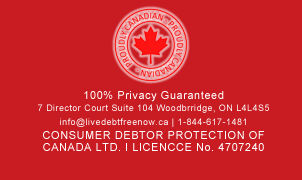 Ontario Debt Settlement is an independent firm that is not funded by any financial institutions or retailers. We offer debt counseling to those looking to get out of debt and lead you to debt freedom. Our professional consultants have the flexibility and freedom due to our independent status to educate our consumers about credit related issues. We deal with your creditors directly and negotiate payments that both you and the creditors are comfortable with in the debt counseling program. ON Debt Settlement provides innovative, practical, and top quality services that assist individuals to achieve financial success. Some of these services include: court/legal assistance, debt management program, lump sum settlements, money management, mortgage assistance, proposals, stopping wage assignments/garnishments and student loan assistance. We will deliver unsurpassed quality of service that will not only assist consumers with their present financial hardships, but will also make them aware of past mistakes and how to avoid the future of need debt assistance ever again.